WINTER 09: Stanford Engineering's European Entrepreneurship and Innovation Thought Leaders Seminar is a weekly speaker series that presents industry leaders from Europe's hitech startup, venture finance, corporate and university research and technology commercialization communities to share their insights and experiences with aspiring and veteran entrepreneurs from Silicon Valley. From Ireland to Russia, and from Scandinavia to the Mediterranean, Europe's technology sector is today playing a growing role in bringing new energy, environmental, water, information, medical device and life sciences technologies to market thru small- and medium-sized enterprises. Europe's countries, however, face substantial challenges in rapidly moving to the marketplace the technical innovations that are being developed in universities, national laboratories and corporations. Many of these regions are increasingly looking to Silicon Valley to accelerate this process and train a new generation of entrepreneurs. We invite you to join us each week for a lively discussion of the challenges and opportunities facing European entrepreneurs, investors and innovation sector organizations. Our opening session will lay the groundwork for this Quarter's program by featuring four European CEOs of Valley startups from the IT and clean tech sectors talking about how their different national origins (Denmark, France, Ireland and Russia) affected their respective paths to becoming entrepreneurs in Silicon Valley. The session will also present short introductions by two of our Government Partners (Enterprise Estonia and Innovation Center Denmark) regarding their respective country innovation and entrepreneurship sectors. Martin is founder, Chairman and Chief Product Officer of SoonR, a mobile player focused on providing access, search and sharing of pc-data from any mobile device. At Soonr he is responsible for setting direction for all dimensions of the product strategy including operations, functionality and user experience. Martin brings extensive start-up and larger company experience to Soonr, having spent over ten years in various executive positions at enterprise software providers Merant, NetObjects and Borland International. Loic is the CEO behind Seesmic. He founded the company in 2007, with the goal of turning online video into a powerful medium for threaded, interactive video conversations. A seasoned entrepreneur, Loic launched several companies prior to Seesmic including: shared web hosting company RapidSite, (acquired by France Telecom) and B2L, an interactive agency (acquired by BBDO). 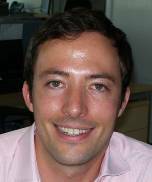 His last company, Ublog, was acquired by SixApart, after which Loic became Chairman of SixApart Europe. Conrad Burke is President & CEO of Innovalight, Inc., a solar energy startup based in Sunnyvale, CA. Born in Dublin, Ireland, Conrad has over 18 years of guiding innovative solar technologies, semiconductors and optoelectronics into the commercial market. His career has spanned research and development, product management, marketing, sales and venture capital funding in major global corporations as well as startup companies. He has worked for leading US venture capital firm, Sevin Rosen Funds as well as companies such as AT&T, Lucent Technologies and NEC Corporation. Ilya co-founded and built Moikrug, the largest social network for Russian speaking professionals. In 2007 MoiKrug was acquired by Yandex, Russian leading search engine and portal. Ilya holds a masters degree in mathematics from Moscow State University and economics degree from the New Economic School. Currently, Ilya is a second year MBA student at Stanford. Our second session features a panel of highly respected Finnish startup CEOs and founders who address the following questions: Do today's startups need to be local, or global, or "globally local"? How can a new venture combine the magic of great engineering skills (mobile, opensource) in Finland/ Scandinavia/Europe and the magic of Silicon Valley (market opportunities, VCs, partners, ecosystem) to become successful? The session will also present short introductions by two of our Government Partners (Innovation Norway and FinNode) regarding their respective country innovation and entrepreneurship sectors. Marten Mickos oversees the database group within Sun's Software division. He joined Sun in 2008 through its acquisition of MySQL AB. As CEO of MySQL for six years, Mickos helped grow that company from a start-up to the second-largest independent vendor of open source software in the world. Prior to MySQL, Mickos held multi-national CEO and senior executive positions in his native Finland. He holds a M.Sc. in technical physics from Helsinki University of Technology. Peter is the founder / co-founder of several companies including Some Bazaar, ConnectedDay and Star Wreck Studios. He is also active as an advisor to several startups in Europe. Prior to his life as an entrepreneur, Peter worked for HP in several communications industry related roles. While at HP Peter founded the HP Mobile E-Services Bazaar, a global innovation & corporate partnership program that BoozAllenHamilton declared an industry benchmark. Peter is also co-founder and the original initiator of MobileMonday, one of the most succesful mobile industry communities globally. Matti Saarinen is a Finnish software entrepreneur with 10 years experience in various positions in Finnish software industry. Mr. Saarinen's technical expertise is based on work in Nokia Research Center and Teleca Plc, where he gained deep understanding of mobile software. After several years in large corporations, Mr. Saarinen founded a mobile software consultancy which provided software services to international clients in Finland and Sweden. In June 2007, Mr. Saarinen founded Whatamap.com Ltd with his brother Antti. Whatamap.com is a custom map service, which received its first round funding from Mr. Risto Siilasmaa, a Finnish business angel. Michel Wendell is a General Partner and co-founder of Nexit Ventures - a mobile – wireless focused venture capital fund with offices in Finland, Sweden and Silicon Valley. Over the past 10 years, Mr. Wendell has made VC investments in propositions ranging from wireless components and infrastructure companies to mobile server and middleware software and mobile applications. Prior to his years as a venture capitalist, Mr. Wendell held executive positions in several both large and small high tech companies, his latest position being VP Business Development at Cadence Design Systems, Inc. in San Jose, CA. Oliver Baltuch is a 20 year Silicon Valley veteran of several companies including National Semiconductor, Vadem, Standard Microsystems, NVIDIA, NetCell, Chartered Semiconductor and Futuremark. With an M.Eng. in Physics Engineering from Cornell, Oliver started out as a Yield Improvement Engineer in a 3 Micron Bipolar Wafer Fab and then proceeded into Marketing after working in the Fairchild Research Center 0.8um CMOS in the late 1980’s. He has then worked in various marketing roles from Staff Strategic Marketing Engineer at National up to VP Sales and Marketing WW for Futuremark Oy and President of its subsidiary Futuremark Inc.
Pekka Parnanen has more than 20 years experience in international business in IT and Communications industries. He has been helping companies to establish or re-establish themselves in the international markets with specially deep experience in establishing companies and partnerships in North America, Japan, Europe and Asia. Pekka’s experience has enabled companies to go through accelerated learning curves in establishing successful business and technology strategies driving successful international market penetration. Pekka is currently the Head of Finpro Silicon Valley where he also was key in establishing the FinNode (Finnish Innovation Center in Silicon Valley) in 2007. This session will feature two prominent speakers from the Western- and Eastern-most countries of Europe - Ireland and Russia. In addition to exploring in greater depth the profound differences in the legal, political and cultural environment faced by these former software startup CEOs in their respective countries, the class will examine how software entrepreneurship in Europe has morphed across two generations of Internet and enterprise software technologies. 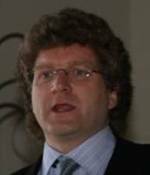 Dr. Christopher J. Horn is co-founder and currently vice chairman of the board of IONA Technologies (established 1991) Dublin, Ireland. He was the initial developer of Orbix® and held the joint offices of IONA's president, chief executive officer and chairman of the board from IONA's inception until May 2000. Dr. Horn has been a non-executive director of a number of privately held software companies and business associations and advisor to a number of venture capital firms. He is currently the non-executive chairman of China Crest Professionals, a Beijing based consultancy firm specialising in investment in China. Sergei Burkov, Ph.D. was the first head of Google's engineering center in Moscow, Russia. Before joining Google in 2006 he co-founded and led three startup companies. Dulance was the Long Tail shopping search engine (acquired by Google). Bilbo Innovations, Inc. invented and brought to market STEP ON IT! computer pedals. Invincible Data Systems pioneered transparent disk and e-mail encryption (acquired by VASCO Data Security (NASDAQ:VDSI)). He also co-founded the American Business Association of Russian Expatriates (AmBAR). In this session we shift our focus from entrepreneurship to corporate venturing and incubation of new concepts in European technology multinationals. Our panel of corporate executives will discuss different approaches to investing in seed-, early- and mature-stage technologies, concepts and businesses, as practiced across a variety of technology sectors and countries. Industries examined range from industrial automation to cleantech, healthcare, materials and the chemicals sector. Industrial automation, cleantech, sensors/actuuators, semiconductors. Since 2005, Alessandro Zago is Director of Venture Technology of Siemens Technology-To-Business Center (TTB) in Berkeley, California – the early-stage Venture Capital arm and new businesses incubator of Siemens. At TTB Dr. Zago is responsible for sourcing, evaluating, structuring, negotiating and executing investments in early-stage high-tech start-ups in a broad range of sectors, including Clean-tech, Industry and Healthcare. He is also actively involved both in developing processes for start-up investments and in developing relationships with selected Venture Capital firms and business angel organizations. Chemicals, life sciences, nutrition & foods, materials, biotech, cleantech. Erik Rutten is Senior Investment Manager for DSM Venturing B.V., a subsidiary of Royal DSM N.V. - a Netherlands-based specialty performance materials and life sciences company. In his current role as Senior Investment Manager, Erik is investing and taking Board of Director positions in start-up companies with a clear strategic fit with existing and future DSM activities. DSM employs 23,000 people and has annual revenues of $12 Bn. Based in California, Mr. Rutten joined DSM in 1985. Anup Jacob is a founding Partner of Virgin Green Fund and a member of its Investment Committee. VGF is a private equity fund focused on growth capital investments in the renewable energy and resource efficiency sectors. Prior to VGF, Anup was an investment professional with TPG and a partner in TPG’s Aqua Fund, which focused on growth capital investments in the water and renewable energy sectors. Healthcare, pharmaceuticals, medical devices, biotech. Sebastiaan la Bastide is Head of the New Concept Incubator for Roche Diabetes Care, in Palo Alto. This innovation group is chartered to identify and develop new growth opportunities for Roche Diabetes Care. Before he started this group in 2007, he worked 5 years with Roche Diabetes Care in Germany and Switzerland, where he was a.o. responsible for strategic planning and program management for the Advanced Systems group. His current mission is to develop solutions for the type 2 diabetes epidemic, and to promote innovation within a large multinational organization. Jason Yotopoulos is Senior Vice-President and Head of the Global Business Incubator at SAP, which identifies and accelerates the commercialization of material business opportunities adjacent to SAP’s core business by incubating new initiatives within the company. He was previously Vice-President, Corporate Strategy Group in the Office of the CEO at SAP where he helped drive corporate strategy management, covering key areas of SAP strategy formulation and execution, strategic performance management, and M&A strategy. This fifth session shifts our focus back to the entrepreneurial economy with a discussion of differences and similarities in venture capital and angel investing in Europe and the US. Alexander Fries founded Ecosystem Ventures LLC, a venture capital investment and strategic consulting firm, to address the need for investment and support in European technologies and pre-seed-stage companies. He is also founder of the European American Angels Club, a Silicon Valley-based organization that actively invests in European startups. Alex brings over 15 years of progressive experience in founding, funding and managing global businesses that provide technology, products and services to telecommunications operators, enterprises and consumers. Mr. Fries has successfully developed four start-up companies, including SVOX AG, a venture-backed company in Switzerland. Our sixth Winter Quarter session will present two case studies of new technology innovation, entrepreneurship and venture finance in Estonia and Romania before and after the fall of the Berlin Wall in 1989. Opening Remarks: Prof. Elisabeth Pate-Cornell, Chair, Management Science & Engineering Dept. Andrus Aaslaid is Developer Evangelist at Microsoft Estonia with responsibility for setting up the Microsoft eGovernment Innovation Center in Tallinn. His current work focuses on profiling eGovernment solutions for partners and deploying new generation cloud and web services in Estonia. The MS Innovation Center was created in January 2009. 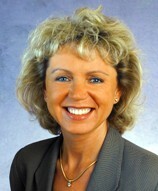 Dr. Mariana Bozesan is founder, President and CEO of Infobahn Romania SRL and Infobahn International GmbH. She was one of the initial investors in Cybernet AG (today PSINet), which was the first Internet company that went public on the German stock exchange. An early member of the Munich Business Angel Network (MBA AG), Mariana is an ongoing investor in high-tech companies and medical device manufacturers, and has invested in Business Angels and VC funds in Silicon Valley and Europe, including The Angels Forum in Palo Alto and EarlyBird Venture Capital in Munich, Germany. Born and raised in Romania, Mariana is fluent in English, German, French and Romanian. Our final Winter Quarter session will explore private vs. public models of innovation and entrepreneurship using Skype and the Danish government's Mindlab as examples. The session will also present short introductions of two public entities - the European Commission, Brussels and The Carbon Trust, London - that play key roles in innovation and entrepreneurship policy, venture investment and R&D funding. Sten Tamkivi is Skype’s Chief Evangelist, building relationships with engineering communities, media, governments and academia around the world. Based in Tallinn, he also looks after Skype Estonia, Skype's largest office globally as local General Manager. Christian Bason is Director of MindLab, an inter-governmental unit for citizen-centered innovation. It is MindLab's mission to involve citizens and the business community directly in the development of new public policy and services. MindLab facilitates innovation processes, including qualitative data collection and field work, design workshops, concept development, prototyping, test and experimentation. MindLab's staff is multidisciplinary encompassing core competencies in anthropology, social and political science, humanities, and design. It is MindLab's vision to be a leading global example of how to drive societal innovation. MindLab is owned by the Danish Ministry of Economic and Business Affairs, the Ministry of Taxation and the Ministry of Employment.